Last night after an incredible concert by The Punch Brothers, Katruska and I stopped by Octane (the Howell Mill Road location) to wind down before heading home. This cool coffeehouse is known for it’s excellent coffee, but it’s quickly making a name for itself with cocktails. They have a small, but well-crafted collection of libations from which to choose and the bartenders are friendly and knowledgeable. We made it to the bar just before last call, so there was only time for one round. 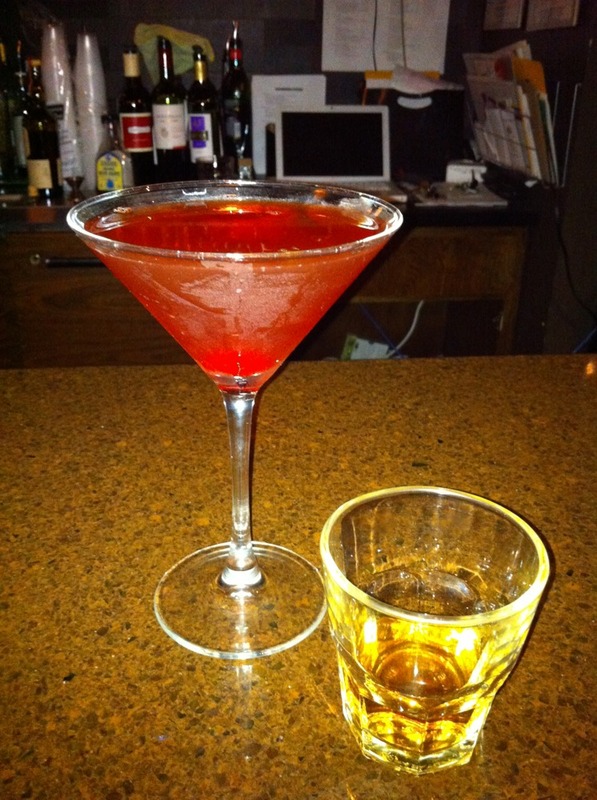 Katruska opted for simple perfection in a glass and had a Lagavulin. This smoky scotch from the island of Islay is one of the best beverages on the planet, but our blog is about cocktails, so on to my drink. Our bartender, Joshua, claimed he made a great Manhattan, so that was my choice. The Manhattan is a classic and it was my introduction to the world of cocktails. Needless to say, I’ve had my fair share and that’s why I’m skeptical of any Manhattan other than the one I make at home. But, Joshua was right, he make’s a fantastic Manhattan! Many versions of this classic fall on the harsh or sugary sweet side of the taste spectrum, but this one was a perfect balance between the bite of the rye and the sweetness of the vermouth and cherry flavors. It’s definitely one of the best in the city. The execution of this one drink left me decidedly thirsty to try the rest of their cocktail menu. This was our first taste of Octane, but it certainly won’t be our last.